This 34.5mm. 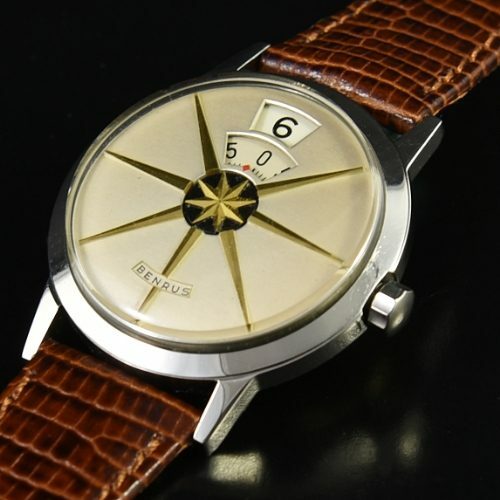 Benrus Dial-O-Rama is a cult classic and one of the most famous of all direct read digital watches. 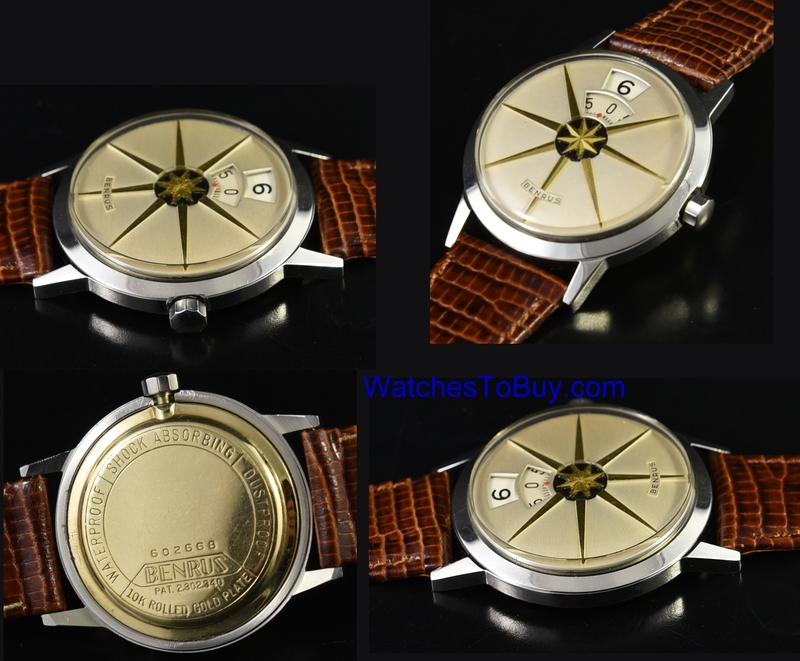 This watch dates to about 1957 in steel with a rolled gold back, all in very fine condition. The SWISS MADE manual winding movement is accurate after a recent cleaning.